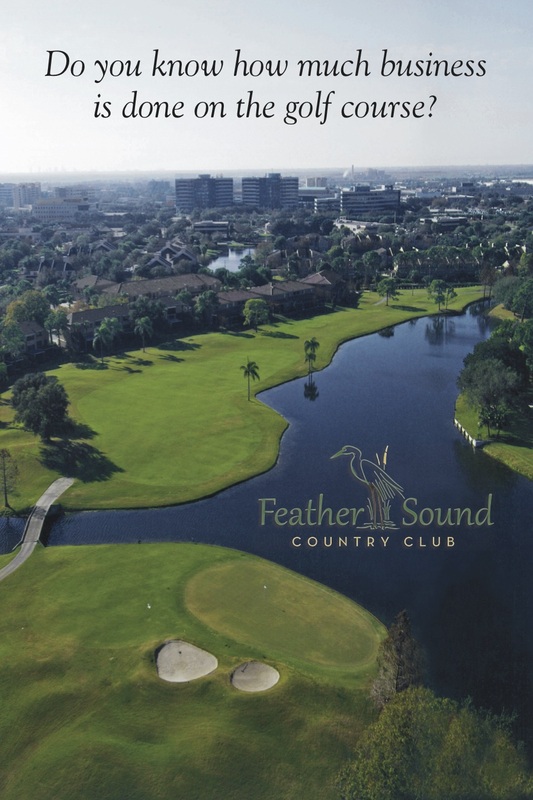 Feather Sound Country Club hired Bayshore Marketing Group to manage and execute a wine and dine / sip and social “tasting” and revenue generating Gala at the Country Club clubhouse for members and non-members. 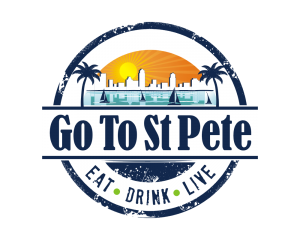  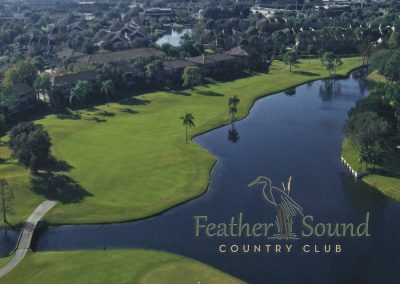 Bayshore named the event Birds of a Feather and created the event logo to coincide with the theme. 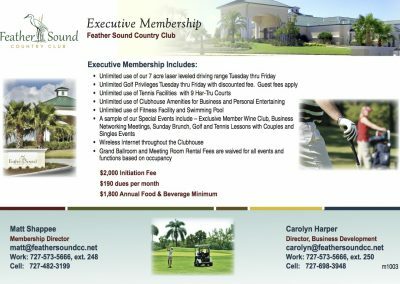 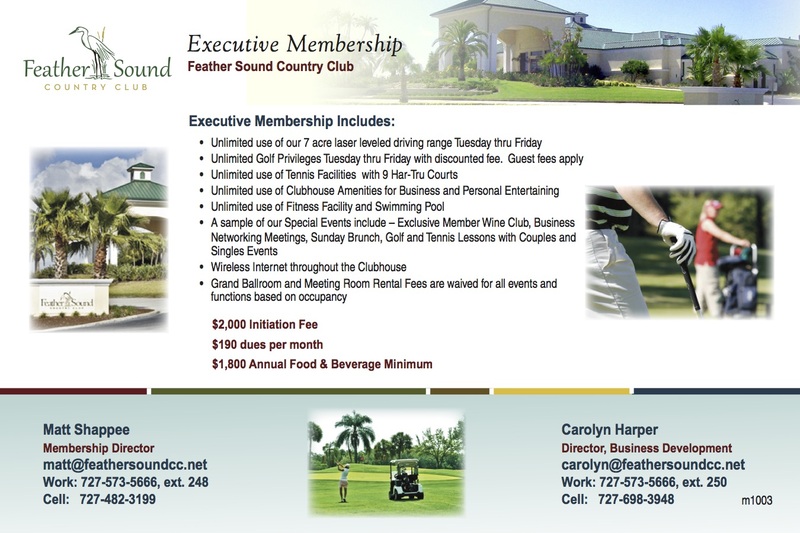 After the success of the event, Bayshore Marketing Group was hired to create Feather Sound’s promotional membership collateral materials as well as create and manage their annual membership drive.